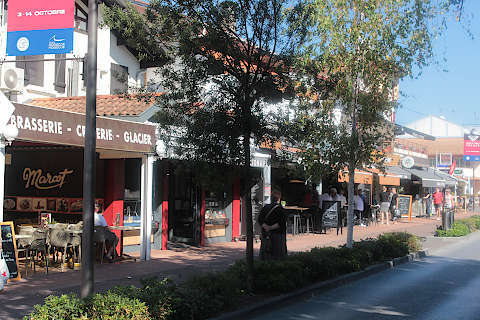 Hossegor (also called Soorts-Hossegor) is on the coast to the north of Bayonne and Biarritz in the south-west corner of France. 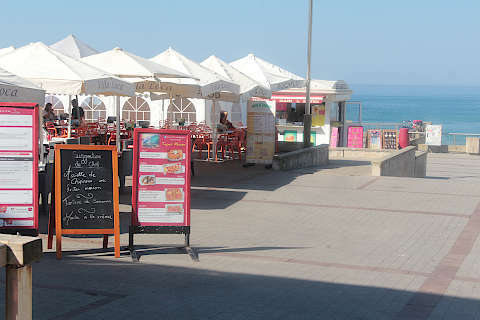 More than just another Atlantic beach resort - of which there are many along this long section of coast - the resort is known as one of the finest surfing beaches to be found anywhere and is often referred to as the surfing capital of France. France This Way comment: despite its reputation it is not just surfers who come here to Hossegor: other beach life and night life hasn't been neglected and the resort is very popular with all beach lovers during the summer months. 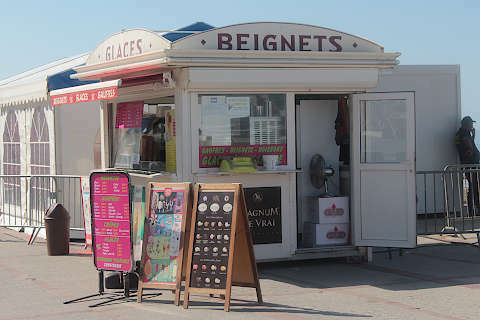 From the main town it is just a short drive to the beach and the beaches here are the fantastic long sandy beaches typical of this part of the Atlantic coast that stretches unbroken from Arcachon to the north down to Saint-Jean-de-Luz to the south and near the border between France and Spain. 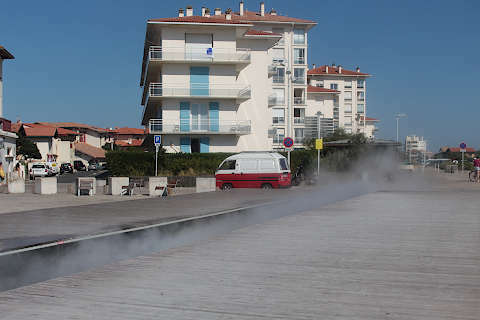 Access to the beach in Hossegor is made easier with wooden walkways, and the most central parts of the beach are watched by lifeguards. 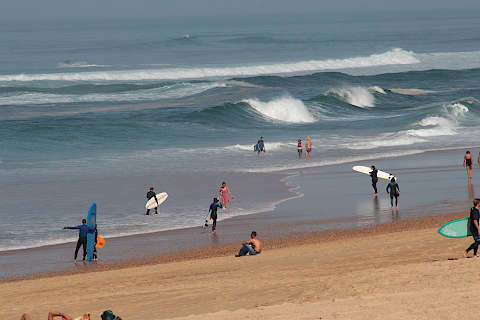 Surfing is a big attraction for visitors and now a very important tourist activity for Hossegor. 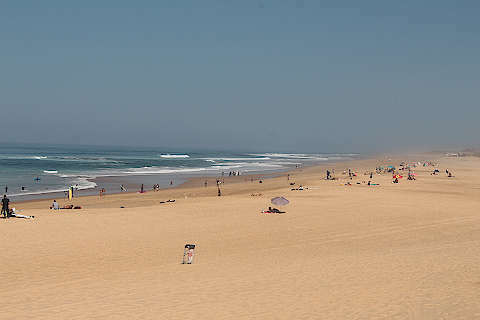 The surf is particularly good at Hossegor because of a trench ('le gouf') in the ocean floor just off the coast that helps focus the waves. As a result it is a very popular destination with surfers looking for the best waves. Note that the waves can be very high, frequently the 'tubes' of wave that surfers love so much, so not necessarily for the inexperienced. It is also possible to organise surfing lessons if you fancy giving it a try! 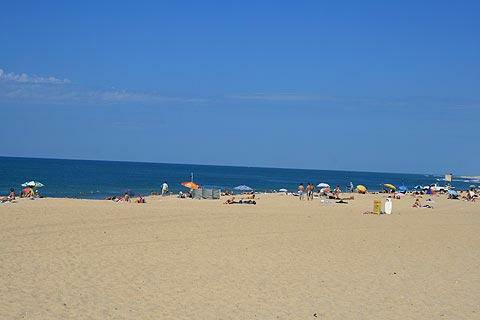 Note, at the end of August each year the Rip Curl Pro world surfing championship is held here at Hossegor. Away from the beach, the town itself is attractive with lots of nice villas built in the local Basque / Landes style of architecture. Even the new apartment blocks are built in the local style. The casino (every beach town in France seems to have one!) 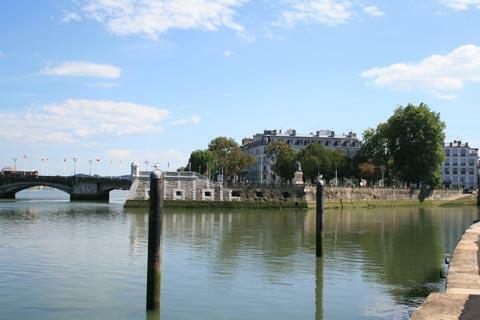 is also an attractive building and is a ‘batiment classé’. The centre is quite extended and nicely maintained, and more extensive than you might expect. 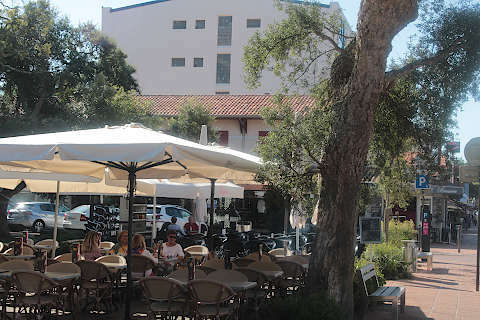 The shops here are largely targetted at tourists and very well set up with supplies for golfers and surfers, and there are plenty of restaurants to choose from. 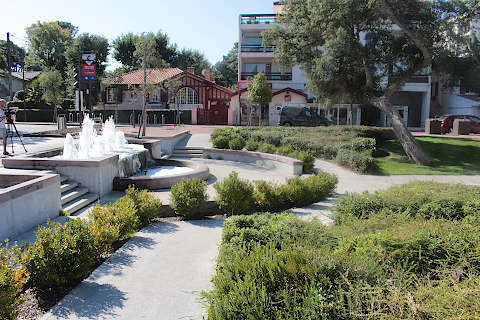 In July and August it is possible to have a guided visit of Hossegor to help you discover the monuments of interest in the town. 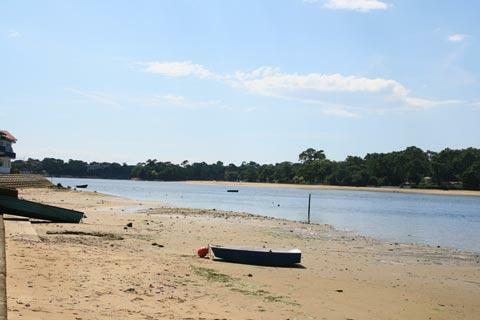 In Hossegor there is also a large lake, useful for avoiding the waves on the beach when they get a bit large for the children. 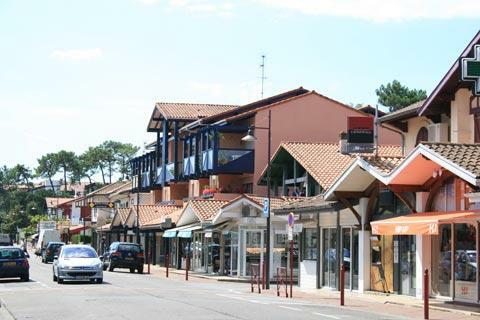 The great expanse of the Landes forest lies behind the town and is popular with nature lovers and cyclists. Golf is another popular activity in the Soorts-Hossegor region (and elsewhere on the Atlantic coast around Biarritz). Other sports available in the town are diving, tennis, horseriding and Basque pelote. 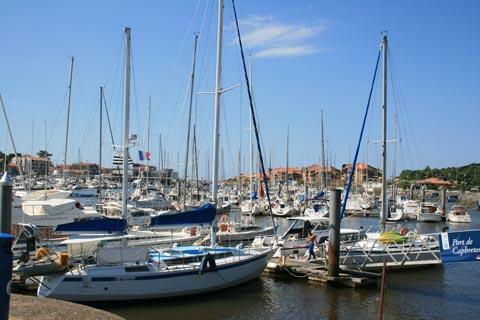 There is a harbour and beach at nearby Capbreton where you can park your boat while you go surfing! In fact Capbreton and Hossegor are now almost one continuous resort so you will most likely find you explore both places during your visit. 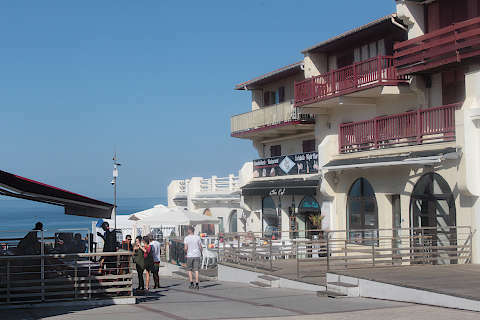 You can visit other Atlantic resorts and beaches while you are here, and we particularly recommend you take a trip to explore Biarritz, a very charming resort founded in the 19th century around a small fishing village.